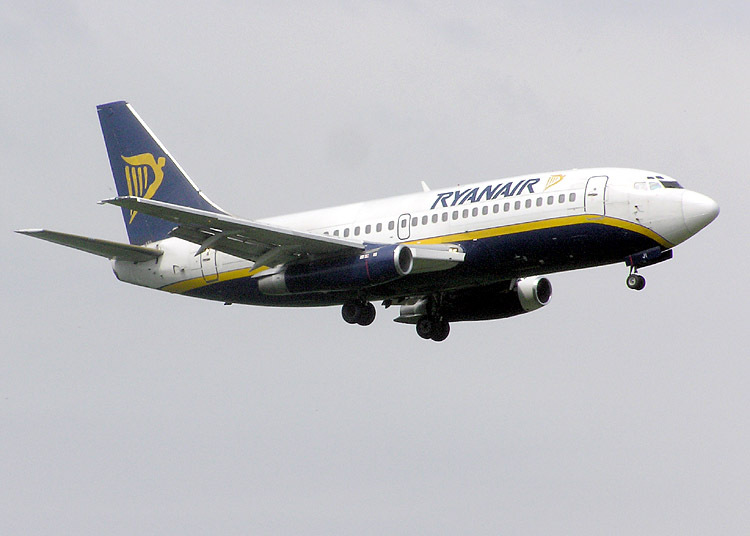 Ryanair Ltd. is an Irish low-cost airline. Its headquarters is located on the grounds of Dublin Airport in Swords, County Dublin, Ireland, with its primary operational bases at Dublin Airport and London Stansted Airports. It operates over 300 Boeing 737–800 aircraft. Ryanair does not allow any pets on flights except for service animals. Some flights restrict service animals as well. Passengers who are traveling with service dogs must make reservations in advance and carry official documents that confirm the dog is trained, certified, and under control of the trainer/owner. Emotional support animals are not considered service animals and not accepted. At present, service dogs are accepted on all Ryanair intra EU/EEA flights and Ryanair domestic flights. They are not accepted on flights to or from Morocco. When entering the UK or Ireland, please have the passport or veterinary health certificate ready to present along with the certification that your dog is a service dog. All dogs must sit on the floor at the passenger’s feet.